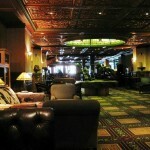 April 26th, 2010 by The JetSetter Team | Comments Off on Heard of The Driskill? When you travel to Texas, keep in mind that the state sometimes likes to do things in a big way. 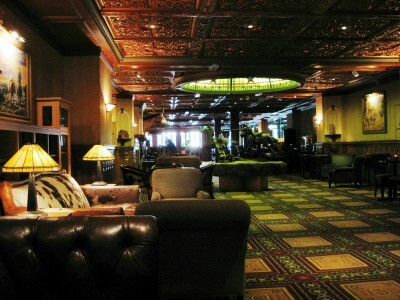 Case in point is the Driskill Hotel in Austin. This is one of those hotels that is a travel destination unto itself. Sure, there are plenty of enticing activities and attractions in the area but it wouldn’t really matter if you never left the property. Jesse Driskill was a cattle baron who made his fortune supplying beef to the Confederate Army throughout the Civil War. Driskill decided he needed to diversify his investments, so built an opulent hotel in Austin, completing work in 1886. Problem was he charged $2.50 to $3 nightly while others were charging .50 cents. Even though the inaugural ball for the new governor was held there, a tradition which has continued to this day, Driskill went out of business in less than a year. Whether Driskill actually lost the hotel in a poker game is neither here nor there. The reality is that the hotel changed hands many times over the years, becoming less of a draw until a 1969 demolition was planned because further renovation was not affordable. Saved at the last minute by a conglomerate who have resurrected the stately lady, the Driskill is now one of the premier hotels in Texas, as well as one of the most haunted, if you believe that kind of thing. A regular reservation can be a bit pricey at $300 – $700 nightly but visit the hotel’s website at driskillhotel.com to see the variety of special packages that can save you up to 30% for a stay in this slice of Texicana.